All leaders make choices, but not all leaders are choice-focused. In Interactional Leadership and How to Coach It: The art of the choice-focused leader Michael Harvey presents an important new theory of leadership which demonstrates how to coach successful choice-making. This clear, wide-ranging book integrates business and psychology, exploring the art of choice-focused leadership through neuroscience, cognitive psychology, existential philosophy and leadership studies. Interactional leadership helps leaders to make informed decisions throughout the "achievement cycle" of strategy, resourcing and delivery, and emphasises the importance of psychological balance. 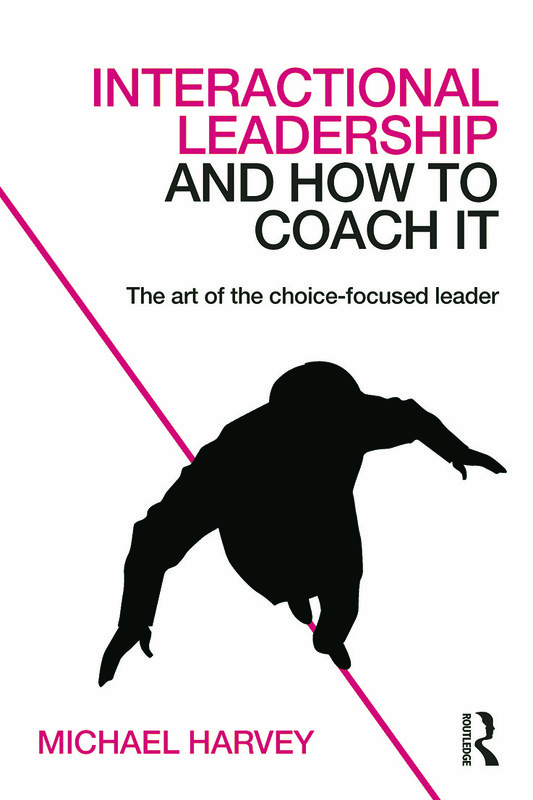 The book features chapter-long case studies which provide unique insights into the leader’s inner world and clearly illustrate how the tightrope of leadership can be mastered. Harvey draws important lessons about decision-making from corporate leaders, politicians and even Shakespeare’s tragic heroes, and addresses the leader’s ethical responsibility for major issues facing us now and in the future. The interactional model also focuses on coaching the multiple roles of leadership, such as global leader, team leader, innovator, entrepreneur and chair of the board. Accessible and practical, Interactional Leadership and How to Coach It is an ideal guide for coaches, leaders, students, trainers of coaches and anyone involved in leadership development and recruitment. Preface: The current crisis in leadership: How can interactional leadership coaching help? Part One - What is Interactional Leadership? Prologue: The Choice-focused Leader 1. The Achievement Cycle and the Art of Leadership Choice-making 2. The Psychology of Interactional Leadership and its Ethical and Multirole Dimensions 3. The Psychology and Neuroscience of Choice and the Philosophy of Interactional Leadership Part Two - Coaching the choice-focused leader: Interactional Leadership coaching in practice 4. Coaching the Non-resourcing Leader: ‘Dracula’ in the boardroom: The case of Blake S. 5. The Practical Techniques of Interactional Leadership Coaching 6. Coaching the non-strategizing leader: ‘Zombie leadership’: The case of Arjun J. 7. Coaching the non-delivering leader: ‘Blocked at every turn’: The case of Deborah K. Part Three – The multiplicity of leadership roles – and how to coach them 8. The Global Leader, the Entrepreneur and the Chair of the Board: Coaching across the spectrum 9. The Team Leader: Creating the dialectical team 10. The Potential Leader: Coaching the rising star and the gender gap in leadership 11. The Thought Leader: Coaching creative and intellectual leadership 12. The Influence of the Group in Leadership: Coaching the board Part Four - Interactional leadership in the public domain 13. From Steve Jobs to Hamlet: The art of the choice-focused leader in business, politics and literature Part Five – Choosing the Future: Leaders and coaches 14. Engaging with Choice: Ethical issues for leaders and leadership coaching 15. Difficult Leaders: Addressing the paradox of leadership coaching 16. Choosing the Future: What decisions lie in store for leaders and their coaches? Michael Harvey is one of Europe’s most experienced leadership coaches. Based in London, UK, he is an organizational psychologist and the author of Interactional Coaching: Choice-focused learning at work (Routledge, 2012). Why not download our Routledge FreeBook Becoming a Better Leader: Applying Key Strategies? This resource - produced in partnership with the International Leadership Association - contains a chapter from Interactional Leadership and How to Coach It, along with a wealth of other information on developing effective leadership skills.